[S542] Index - New Zealand BDMs online, at http://www.bdmhistoricalrecords.dia.govt.nz/, Birth Reg. No. 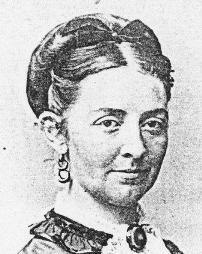 1866/5294. [S542] Index - New Zealand BDMs online, at http://www.bdmhistoricalrecords.dia.govt.nz/, Death Reg. No. 1894/917, aged 28. [S542] Index - New Zealand BDMs online, at http://www.bdmhistoricalrecords.dia.govt.nz/, Birth Reg. No. 1874/9370. [S443] CD - NZ Marriages, CD - NZ Marriages 1836-1956 V2, NZ Registrar General's Folio 7821. [S542] Index - New Zealand BDMs online, at http://www.bdmhistoricalrecords.dia.govt.nz/, Marriage Reg. No. 1907/7838. 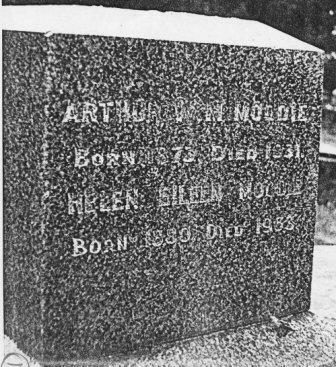 [S137] Cemetery Marker - George Hutton Moodie / Janet Harley Hutton, Dunedin Nthn Cemetery, NZ. [S542] Index - New Zealand BDMs online, at http://www.bdmhistoricalrecords.dia.govt.nz/, Death Reg. No. 1931/10752, aged 56. [S420] Dunedin City Cemeteries database, at http://www.dunedin.govt.nz/facilities/cemeteries/…, Original reference C193111004. [S420] Dunedin City Cemeteries database, at http://www.dunedin.govt.nz/facilities/cemeteries/…, Block 162, plot 18. [S542] Index - New Zealand BDMs online, at http://www.bdmhistoricalrecords.dia.govt.nz/, Birth Reg. No. 1889/16102. [S542] Index - New Zealand BDMs online, at http://www.bdmhistoricalrecords.dia.govt.nz/, Death Reg. No. 1971/37860, aged 82. The ship Calabar, under Moodie's command, left Southampton 4 May 1853 and arrived Port Adelaide, Sth Australia on the 1 Aug 1853. 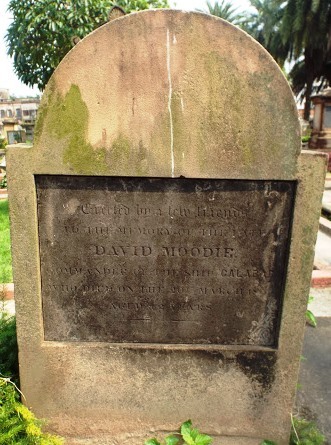 Mrs Moodie is recorded as 'Master's wife' (although she appears, somewhat strangely, in the 'Single Women' list). [S189] International Genealogical Index (IGI), Entry C114366/1099, Fife. [S612] GRO Scotland, birth/bapt record, District of Kilconquhar, OPR Births/baptisms, GRO 436/00 0030 0414. [S612] GRO Scotland, birth/bapt record, District of Carnbee, OPR Births/baptisms, GRO 413/00 0040 0191, FR1439. [S519] Vital Record - BDM Ohio Dept of Heath, death record, File 14719, Reg. No. 790. [S917] GRO Scotland, marriage record, Parish of Leslie, OPR Marriages, GRO 444/00 0050 0136 - note this is between a Thomas MOODIE and Mary, not David MOODIE and may be a total coincidence of names. [S1056] Reference - Library - London Maritime Museum, UK and Ireland, Masters and Mates Certificates, 1850-1927, Certificate No. 2311. [S369] Personal knowledge of D Ferguson. [S917] GRO Scotland, marriage record, Parish of Alloa, OPR Marriages, GRO 465/00 0070 0506. [S189] International Genealogical Index (IGI), Entry M119543/0944, Clackmannan. [S363] Newspaper - Sth Australian Register, Monday August 1st, 1853:- the Government ship Calabar, 754 tons, Moodie, Master, from Southampton, 4th May. Passengers: Mr. Nobbs and family 5, Mr. Cummings and family 8, Mr. Hunt and family 3, Mr. and Mrs. Moelie in the cabin; and the following Government Emigrants.—9th ship from England to S.A. with government passengers for 1853 ; 0 births and nine deaths on the passage, Edward Kearney, surgeon-superintendent. [S1061] Book - unknown author, Allen's Indian Mail, Vol XI, p774. [S1061] Book - unknown author, Allen's Indian Mail, Vol XIII, p167 and 294. [S342] Will - David Moodie, UK PRO ref prob11/2216, image 583. [S511] Book - J H Brown (editor), Mercantile Navy List, Obituary section, p153 (although it gives a date of 19 Mar). [S938] National Archives - British India Office Records, Parish register transcripts from the Presidency of Bengal 1713-1948, Ref N/1/88, p557. Note that this gives an age of 42. [S938] National Archives - British India Office Records, Parish register transcripts from the Presidency of Bengal 1713-1948, Ref N/1/88, p557. Note that this gives an age of 42. Plot #133. [S938] National Archives - British India Office Records, Parish register transcripts from the Presidency of Bengal, ref N-1-84, folio 471. [S190] Index - GRO and Office of National Statistics, England & Wales Civil Registration Qtrly Indexes, Death: District of Stepney, Vol 1c, p435, 4Q1854 (mis-indexed as Moddie). [S542] Index - New Zealand BDMs online, at http://www.bdmhistoricalrecords.dia.govt.nz/, Birth Reg. No. 1866/5295. [S815] Newspaper - Otago Daily Times, issue of 16 April 1866, issue 1341, Birth Notices, p4. [S189] International Genealogical Index (IGI), Entry, film 1903966. [S443] CD - NZ Marriages, CD - NZ Marriages 1836-1956 V2, NZ Registrar General's Folio 3396. [S542] Index - New Zealand BDMs online, at http://www.bdmhistoricalrecords.dia.govt.nz/, Marriage Reg. No. 1889/3347. [S816] Newspaper - Tapanui Courier, issue of 3 June 1891, Public Notices. [S542] Index - New Zealand BDMs online, at http://www.bdmhistoricalrecords.dia.govt.nz/, Death Reg. No. 1891/535, aged 25. [S420] Dunedin City Cemeteries database, at http://www.dunedin.govt.nz/facilities/cemeteries/…, Original reference N18910538, Block 18. [S519] Vital Record - BDM Ohio Dept of Heath, death record, File No. 61246, Reg. No. 2820. [S248] Census - 1 Jun 1850, US Census, City of Columbus Ward 3, Franklin, Ohio, Roll M432-679, Page 314, image 311. [S249] Census - 1 Jun 1860, US Census, City of Columbus Ward 3, Franklin, Ohio, Roll M653-964, Page 126, image 253. [S253] Dobson/Duncan website (Feb 2003), at http://homepages.rootsweb.com/~dobson/oh/ohfrankl.htm, Franklin Co. OH Marriage Records 1803-ca 1859 (FHL film 317,388). Duncan, Robert to Moodie, Euphemia, April 14, 1864 by Henry McCracken MG, 8-344. [S324] CD - Ohio Marriages 1851-1900, CD - Ohio Marriage Index 1851-1900, Franklin County Court Records, FHL film #0285142-0285156. [S250] Census - 1 Jun 1880, US Census, City of Columbus, Franklin, Ohio, Roll T9-1016, Page 165.2000, ED 27, image 450. [S542] Index - New Zealand BDMs online, at http://www.bdmhistoricalrecords.dia.govt.nz/, Birth Reg. No. 1893/14546. [S542] Index - New Zealand BDMs online, at http://www.bdmhistoricalrecords.dia.govt.nz/, Death Reg. No. 1932/7288, aged 36, unmarried. [S252] Census - 1 Jun 1870, US Census, City of Columbus Ward 3, Franklin, Ohio, Roll M593-1201, Page 144, image 172. [S871] FamilySearch, at https://familysearch.org/, Ohio, County Marriages, 1789-2013, County courthouses, Ohio; p109; FHL film 285,148. [S250] Census - 1 Jun 1880, US Census, Columbus, Franklin, Ohio, Roll T9-1017, Page 394.1000, ED 38, image 129. [S519] Vital Record - BDM Ohio Dept of Heath, death record, File No. 29844, Reg. No. 1427. [S519] Vital Record - BDM Ohio Dept of Heath, death record, File No. 8750, Registrar's No. 769.